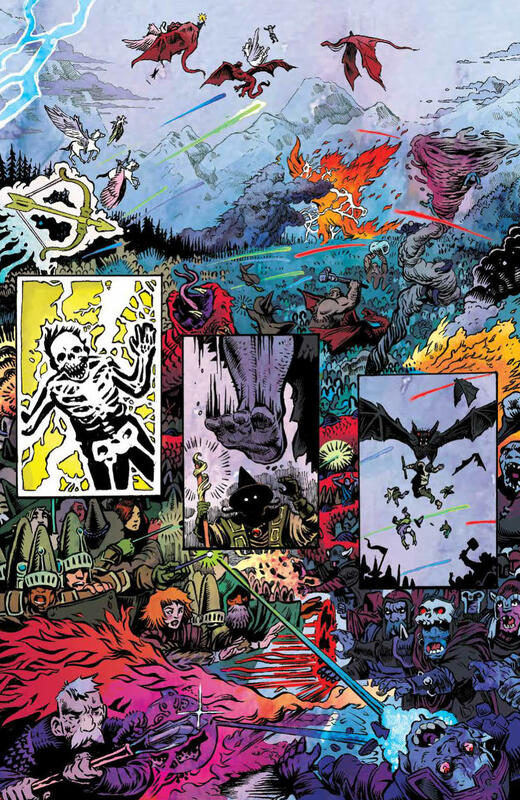 Wizards and Witches, Dragons, Frost Giants, Dwarves, Elves… well, all of them, they really exist, and they’ve been fighting the same old battles to a stalemate for centuries. Hexley Daggard Ragbottom knows that the one person that can tip the balance in the favour of Good is his Uncle Salazar but, he’s kind of the black sheep of the family and his father refuses to speak of him. Defying his father’s wishes, Hexley sets off in search of Uncle “Sally” and heads for the human world and Wizard Beach. My first reaction on reading this was to check the contributors page again because I was really expecting Skottie Young to have had a hand in this. 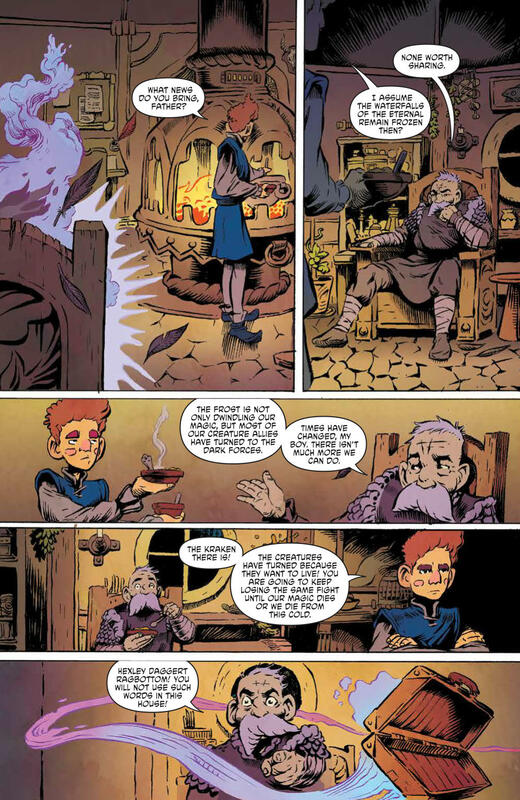 My second reaction was that this could easily have been a Discworld story if Terry Pratchett had branched out into comics a bit more. 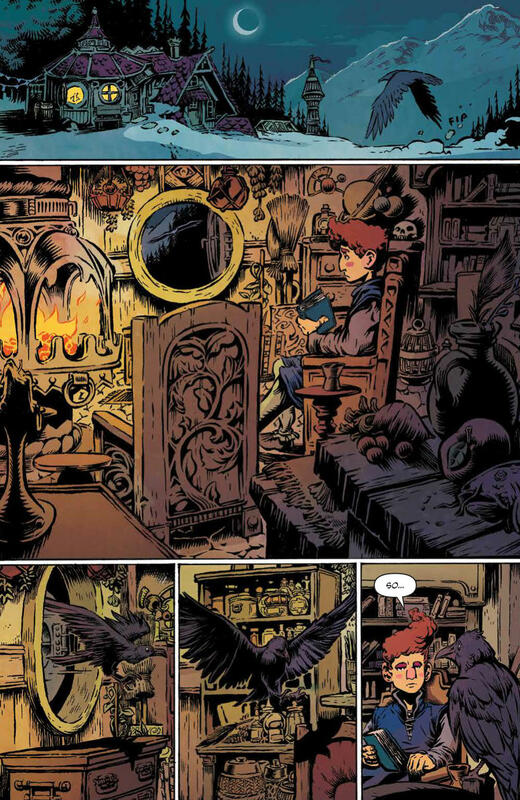 I’m a great fan of the whole comedy/fantasy genre, and I especially love it when it’s done with irreverence and a healthy dose of the twisted and macabre. Writer Shaun Simon brings a great mixture of both and I’m really looking forward to seeing what Uncle Sally has in store for Hex in the next issue. 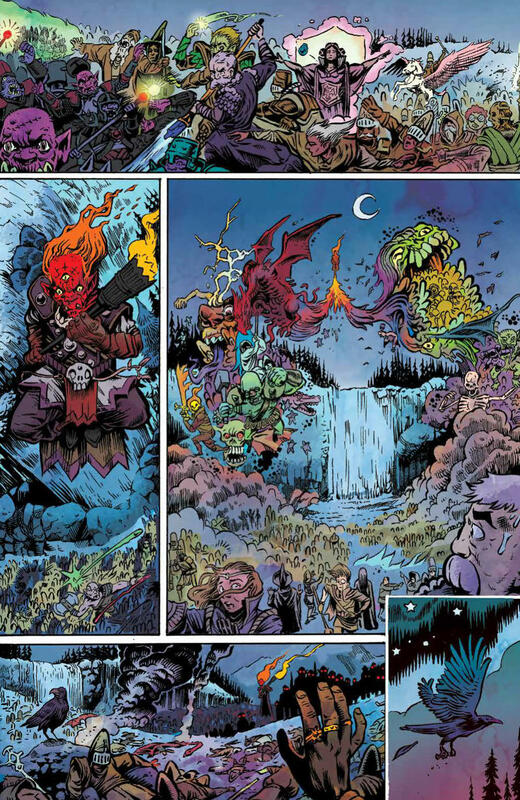 One other thing I felt worked really well in this issue was the way it’s split up into chapters. Whilst this could potentially distract and draw you out of the story, in this case it really brought structure to the issue, and made it feel like a much longer read. 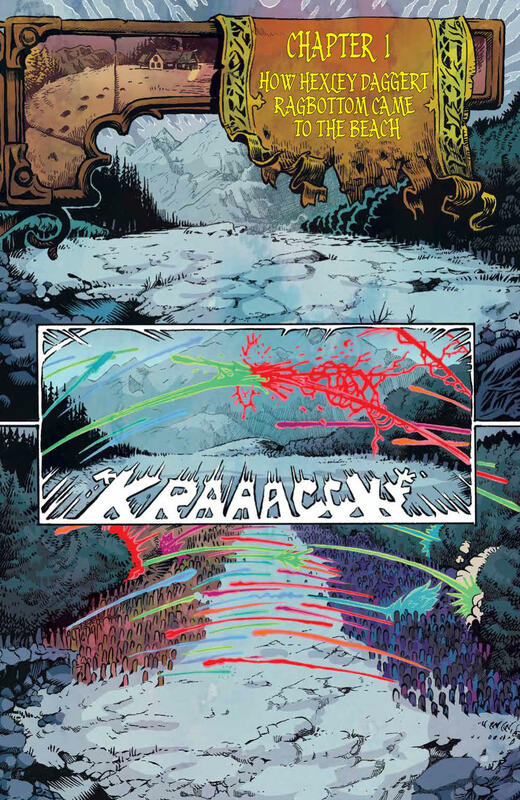 The first issue is beautifully laid out, and Conor Nolan’s artwork is fantastic. While it’s got a style of its own, I was really reminded of Albert Uderzo’s work on the Asterix The Gaul books, and the whole Franco-Belgian Comic style that I started reading in the late ‘70s/early ‘80s. Meg Casey’s colours are great and really add to this impression with a feeling that, whilst I know I’m looking at something new, there’s an age to the pages that brings a warmth and comforting familiarity to the story. 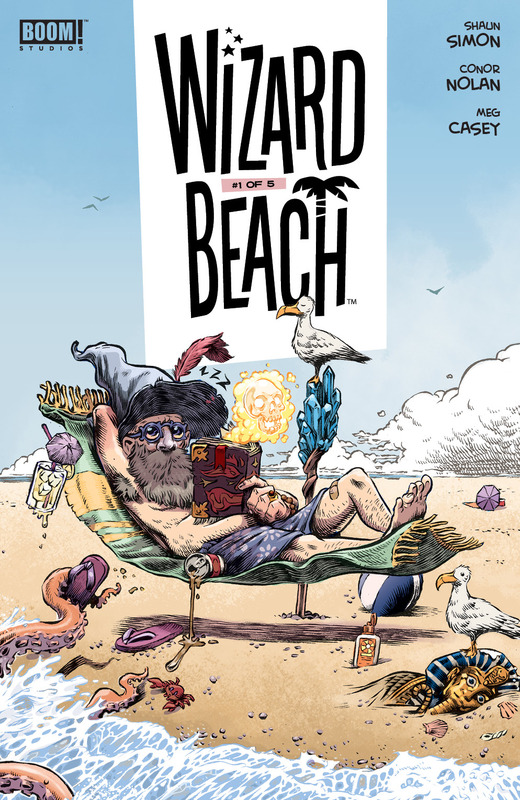 I really enjoyed Wizard Beach. It’s a familiar enough tale which manages to feel new and vibrant and different at the same time. There’s a lot of fun to be had and a lot to discover in here if you take on board the book’s main theme and just slow down and notice the world around you.